In school days, History was no doubt interesting ! ~ what we read about Indian freedom struggle was often a terse statement of India getting freedom through non-violent (ahimsa) means advocated by Mahatma Gandhi. The history as handed by Britishers and reviewed by commies neither portrayed the cruelty of the rulers nor the sacrifices of innumerable individuals. Here is one connected to a patriot born on this day 129 years ago ! Nandi Hills, is an ancient hill fortress in southern India, in the Chikkaballapur district of Karnataka state. It is 10 km from Chickballapur town and approximately 60 km from the city of Bengaluru. There is some connect between this place, a Godman and ... .. .. our freedom struggle !! almost a century ago, in 1919, an ascetic by name Shri Omkar Swami set up a small ashram in the foothills of Nandi Hills. He was none other than Neelakanda Brahmachari [born on 4th Dec 1889] – the man who was listed as accused no. 1 in the Maniyachi railway station killing 1911. This revolutionary founded - Abinava Bharat Samiti, was on the run for the most of his life, living in exile in Pakistan, Burma and more. He ran a magazine called ‘Suryodhayam’ too. 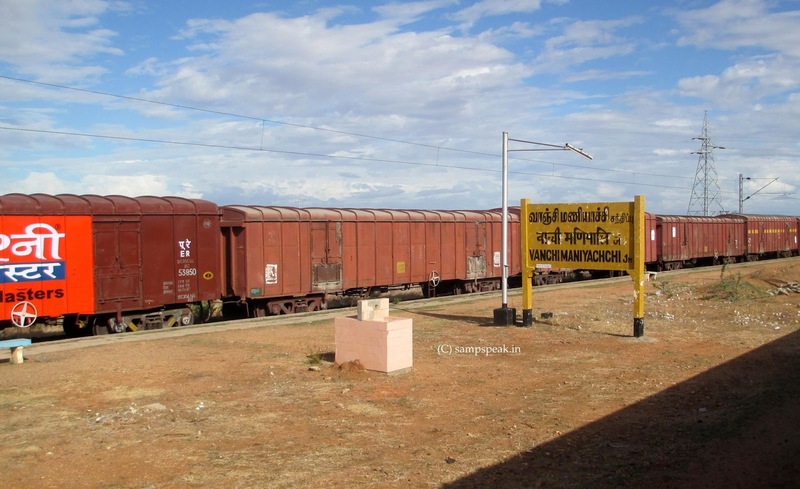 On June 17, 1911, Collector Robert William d’ Escourt Ashe and his wife left Tirunelveli Junction by the 9.30 a.m. train to board Boat Mail at Maniyachi Junction. As the couple waited for the train to arrive, a youth, Vanchinathan, dressed in green coat and white dhoti, entered the first class compartment and shot Ashe point-blank. After accomplishing the act, he ran into a toilet on the platform and shot himself. According to documents of the British police, Vanchinathan used a Browning automatic pistol made in Belgium and sent by Madam Cama, a member of Abinava Bharat Samiti, a revolutionary organisation, from Paris. Neelakanta Brahmachari had formed a branch of Bharatmatha Association in Punalur in which Vanchinathan became a member. The reason for the selection of Ashe as the target was his role in the suppression of Swadeshi movement led by V.O. Chidambaram and others in Tirunelveli and Tuticorin. The British keen to get them into jail, made extensive searches, made some turn as approvers and relied on their evidence fully. Interestingly the decision of the Full Bench was not unanimous. Sir Arnold White and Ayling delivered a joint judgement while Sankaran Nair delivered his own. He wrote a brilliant judgement, which serves as an excellent resource material for the history of the Indian Freedom Movement of the period. Justice Nair came to the conclusion that the charge of murder had not been legally proved against the accused while he held the charges of waging war against the King proved against Nilakanta and another but not the rest. Finally the Court by a majority decision awarded Nilakanta seven years rigorous imprisonment and Sankarakrishnan was given four years. The remaining accused were sentenced to varying terms of lesser imprisonment. Appeals were filed by the British Govt against the judgement and a Bench of five judges comprising Sir Ralph Benson, John Wallace, Miller, Abdul Rahim and P. R. Sundara Iyer heard them. C. J. Napier, now as the Advocate-General appeared for the Crown assisted by T. Richmond while the accused were defended by T. Prakasam and others. The appeals were argued on legal grounds, which were the only issues allowed to be raised in such an appeal. They focused on the value and reliability of the approver's evidence and legal admissibility of some of the Prosecution witnesses. Here is some extract from the case decided in Madras High Court in Feb 1912 – case titled : The King-Emperor vs Nilakanta Alias Brahmachari and .. .. In this case fourteen persons were tried by a Special Bench, constituted under Section 6(6) of the Indian Criminal Law Amendment Act, 1908, for an offence, punishable under Section 121 A, Indian Penal Code (conspiring to commit certain offences against the State), and also with abetting the murder of Ashe. The Special Bench acquitted all the accused. The accused were: 1) Neelakanta, alias Brahmachari, a Brahmin youth of 21 (a journalist, a fiery patriot and person of considerable persuasive skills and charm, and the leader of a conspiracy to murder Ashe, according to the police); 2) Sankarakrishna Iyer, a young farmer; 3) Madathukadai Chidambaram Pillai (no relation of VOC), a green-grocer; 4) Muthukumarasami Pillai, a pot vendor in his forties; 5) Subbaiah Pillai, a lawyer’s clerk; 6) Jagannatha Ayyangar, a young cook; 7) Harihara Iyer, a young merchant; 8) Bapu Pillai, a farmer; 9) V. Desikachari, a merchant; 10) Vembu Iyer, a cook; 11) Savadi Arunachalam Pillai, a farmer; 12) Alagappa Pillai, a teen-aged farmer; 13) ‘Vande Matharam’ Subramania Iyer, a schoolmaster; and 14) Pichumani Iyer, a cook. The Ashe Murder trial was a prolonged affair and the hearing in Madras went on for 93 days, from September 1911 to January 1912. Over a hundred witnesses gave evidence on both sides and a mass of the documentary evidence like letters, diaries, publications, records and reports was filed in the case. It was quite a task for the three judges who sat and heard the case without the benefit of a jury. With Vanchinathan killing himself, much of the Crown’s evidence came from the approvers who were, in other words, accomplices. The pleading was that the accused had alleged to have conspired at various places between January 1910 and 17th June 1911 with certain persons not now before the Court, viz., with one Vanchi Aiyar, who is proved to have shot himself on the 17th June 1911 immediately after murdering Mr. Ashe, (who was then District Magistrate of Tinnevelly), one DharmarajaAiyar, who is now dead, (the case for the Crown being that he committed suicide) and one Madaswami who has absconded, and also with three others Arumugam, Somasundaram and Ramasami Aiyar, who were given a pardon under the usual conditions and taken as approvers and called as witnesses. The approvers have given evidence as to a certain treasonable society founded by the 1st accused, Nilakantan, of which they were all members. They have also given evidence of meetings of the society at Tenkasi and Tuticorin and elsewhere attended by the accused, and there is no question but that, if the accused were present at these meetings and took the "blood oath" as alleged by the approvers, they are guilty. After the killing of Ash, the house of Vanchinathan at Shencottah was searched next day (18th), certain letters were found which showed that Arumugam (P. W. 6) was in communication with him; so on the evening of the next day (19th) immediately after the arrival of Mr. Thomas, the Duputy Inspector-General of the Criminal Investigation Department, a party of police was despatched to Tuticorin to search his house. At the trial before the Special Bench, which began in the following September and went on for some months, Arumugam and Somasundaram were examined as witnesses for the prosecution and gave evidence, as already stated, involving not only their own guilt, but also the guilt of several of the accused who took the " blood oath " at the treasonable meetings held at Tenkasi and Tuticorin. This was a case tried before three Judges of this Court, under Act XIV of 1908, and comes before us on a certificate of the then Advocate-General pursuant to Clause 26 of the Letters Patent that certain points of law which in his opinion were decided by the Judges, or, a majority of them, require to be further considered. Objection was taken at the outset by the Officiating Advocate-General that Clause 26 does not apply to criminal trials before the High Court under Act XIV of 1908. The appeals were argued on the legal grounds, which were the only issues allowed to be raised in such an appeal. It focussed on the value and reliability of the approvers’ evidence and legal admissibility of some of the prosecution witnesses. Three judges, Benson, Wallis and Miller, held that the appeals could not be sustained while Rahim differed and opined that the appellants should be acquitted in toto. Sundara Iyer expressed doubts about the conviction and left it at that. The full Bench finally dismissed the appeals and confirmed the sentences. The final decision of the Ashe Murder Case was as expected, because of its political nature. 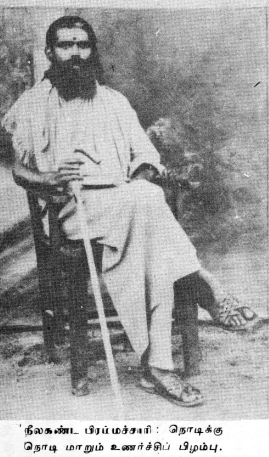 Nilakanda Brahamachari however, was the first accused in Kolkata by Teggart and was imprisoned for more than eleven years. Undergoing years of incarceration, the revolutionary turned to a spiritual leader, as vividly described in his notes which he later collected as 'Confessions on the way towards Peace'. After coming out of the jail, he took the 'Confessions' to Sri Aurobindo, who wrote a small foreword. After going through a spiritual itinerary, Sadguru Omkar settled down at the lower Nandi Hills and built a small ashram around a dilapidated Shiva Temple - which he called Omkareswara - by a rivulet, the source of the river Pennar. Sadguru Omkar passed away on 4th March in his Ashram at the Nandi Hills at the ripe old age of 89. The Nation owes a lot to him ~ for his revolutionary spirit and kindling the fire of freedom !